There's nothing I love more than a sharp, smart looking guy, and with the Dickies 'Youtility' men's scrub top you will certainly nail that look! With pockets galore, you can easily keep everything you need handy. 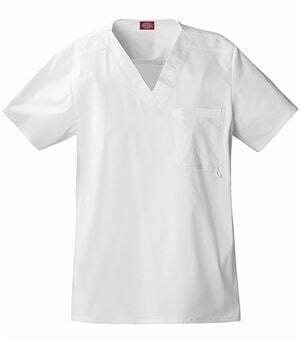 Place your name tag on the elastic bungee loop on the scrub top and you will never have to worry about your name tag falling out of place or getting in the way. Loops in the sleeve pocket are the perfect place for your pens. 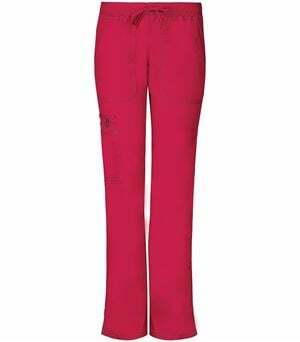 Plus, you can't beat Gen Flex's signature comfortable, flexible fabric, and, let's be real, who doesn't want to be comfortable all day long? 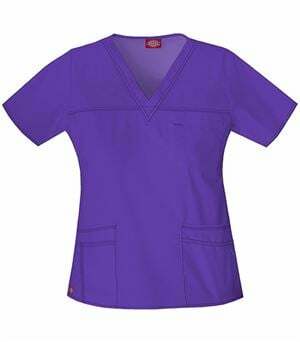 Side panels provide a modern, flattering fit and contrast multi-needle top stitching ensures the scrub top's durability. 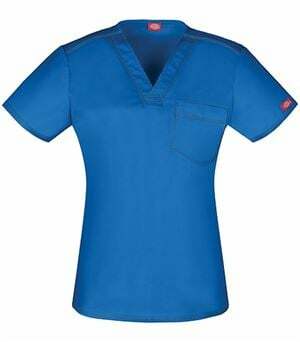 I know a hot deal when I see one; when it comes to the Dickies scrub top 81722, comfort, style, quality, and function all combine to make it one smokin' hot deal!